Sunday School meets in various classrooms in the main building and in the Monroe Wells Educational building. See Church Campus for details of our facilities. Curriculum or other materials are rooted in Scripture and shaped by our Reformed tradition. Our Expanded Ministry includes Christian education, music, and other activities for the whole family. River Road Presbyterian Church is located on the corner of North Mooreland and River Roads, about half way between North Parham and North Gaskins Roads. We are an easy drive from the West End, the Southside, and the University of Richmond. Click on the link above to learn how to get here from your home. Parking is free. We have ample parking adjacent to the church in three lots with easy and assisted access to all areas of the church. 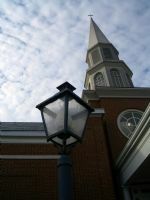 If you have any questions about joining our church or if you need help finding your place in the many activities, programs and ministries in the life of River Road Presbyterian Church, please call the church at 804-740-7083; and the staff will be glad to connect you with the appropriate person. You can also reach us via email at askus@rrpcusa.org.